In product planning, a roadmap is developed by product managers, typically with input from teams across the organization, including sales, marketing, engineering and the leadership team. It should be a high-level visual that easily communicates the product’s strategic vision, direction, and timeline to any stakeholder throughout an organization. They are used to align and orchestrate cross-organization functions such as product development, product launch and product marketing. 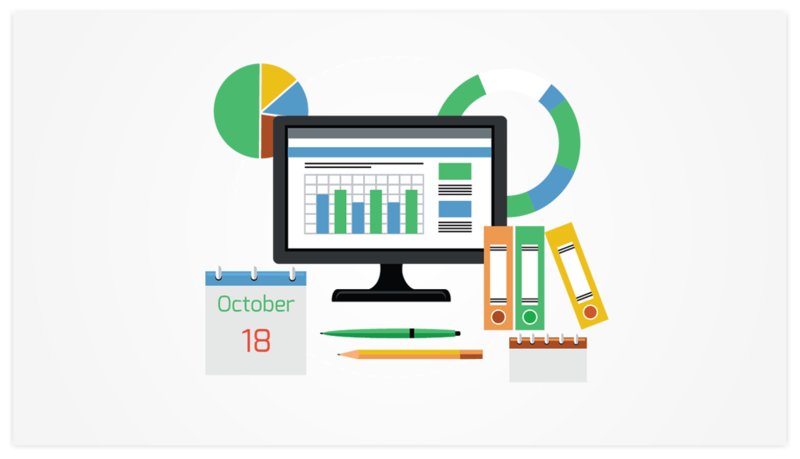 The most popular and familiar presentation format for product roadmaps is Microsoft PowerPoint. The PowerPoint roadmap template below is intended for product managers who need to present a high-level product strategy view to executives and partners. The roadmap template is flexible, intended to be a dynamic tool in the process, and can be easily maintained as the roadmap changes. Product plans and roadmaps change constantly over their lifecycles. Planners and product managers need to promptly adjust roadmap visuals as things change. 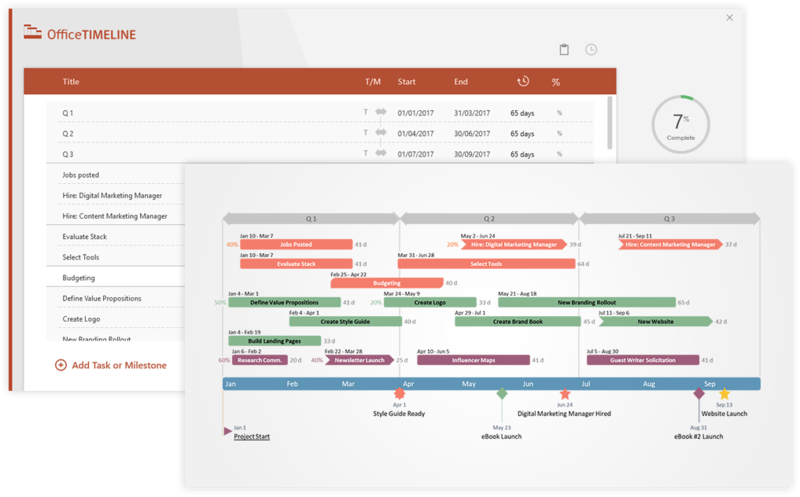 Office Timeline is a Product Planning tool built into PowerPoint for quickly creating and updating executive-level plans that are easy to understand. Office Timeline saves me hours of work whenever I need to create uncomplicated schedules for my project team, managers and clients. The synchronization with MS Project and Excel is excellent. It allows me to instantly update my timelines and schedules for our weekly project meetings. Product managers need to create a highly-focused product development plan, to efficiently execute the vision presented in the product roadmap. This plan should cover the production and manufacturing projects required to create and deliver the product. These project plans need to be communicated to product teams, vendors and managers in a simple way for all teams and management to know what must be delivered and when. 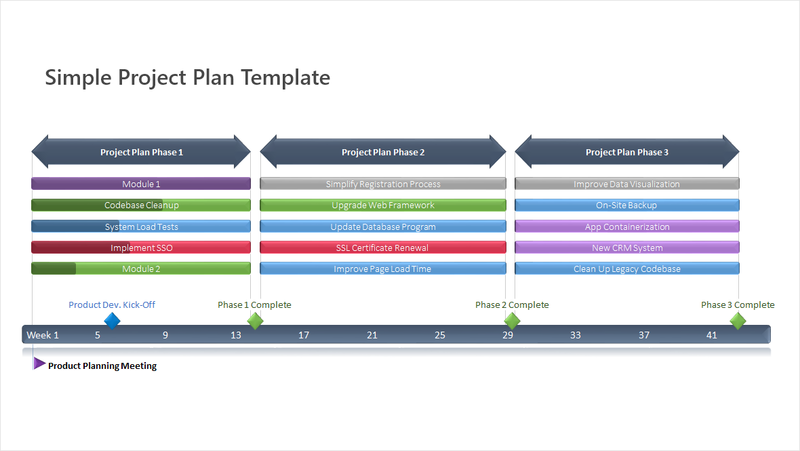 The simple project plan template below was created to help product managers communicate major milestones and deliverables of their product development process. The template should help synchronize product development, execution and delivery and can be updated to show progress or changes to the plan. Launching a new product requires planning for pre-launch, launch and post-launch. The planning should be completed well in advance of the release and the plan should cross all functional teams that have deliverables, such as Development, Marketing, Sales, Support and Engineering. Each functional department will need to understand their launch responsibilities and prepare the necessary resources to support it. To assess progress prior to launch, the plan should also include some clearly defined readiness milestones and some post-launch checkpoints. 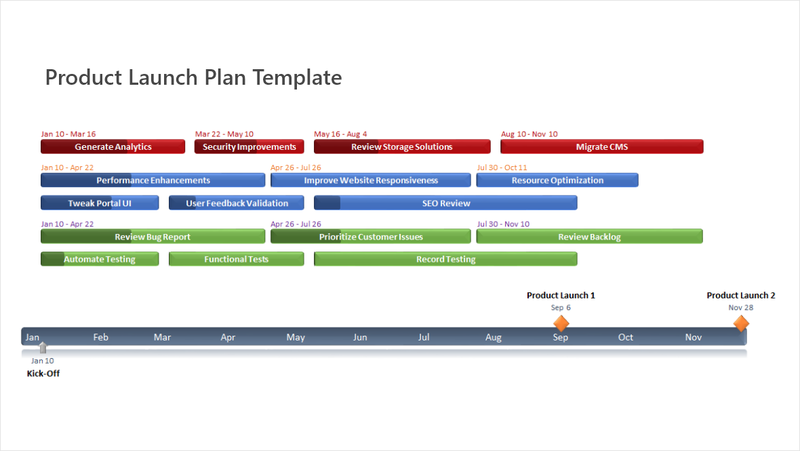 The product launch plan template below was designed to help product managers get all the functional teams involved in the launch coordinated and prepared to ensure an on-time product release. With the templates above, product managers can create clear visuals of their product plans and roadmaps, easily update them whenever needed, or even reuse them for status meetings, reviews and reports. This saves time and effort and ensures a more efficient communication with teams, clients and executives. 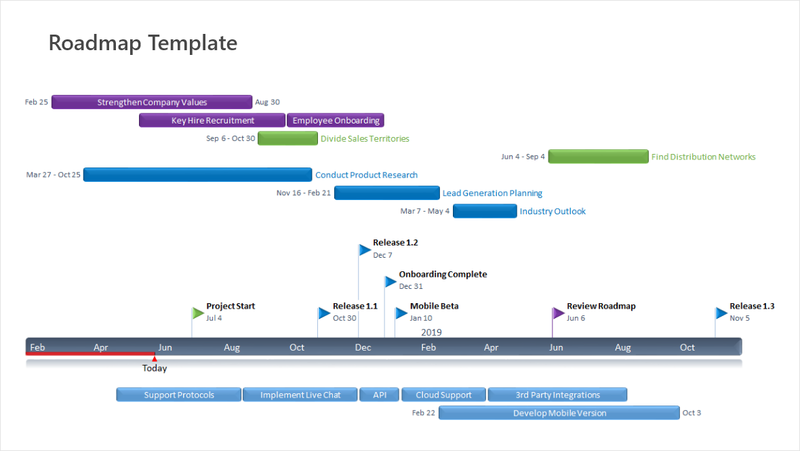 Office timeline is an award-winning product planning tool for PowerPoint.